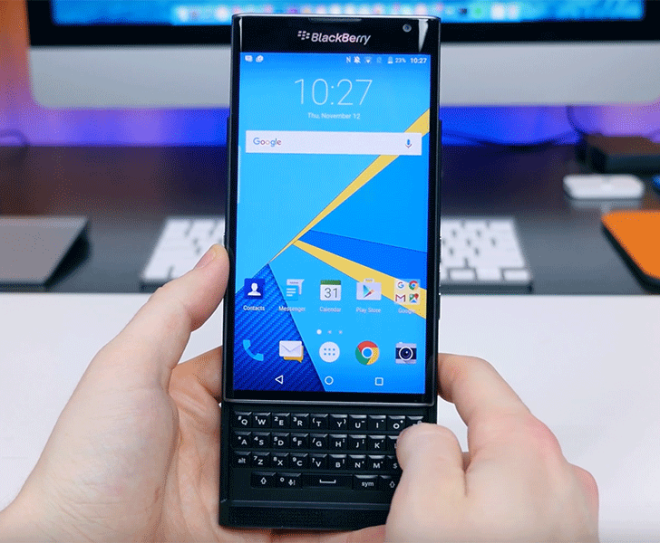 If you’re a T-Mobile customer who has been waiting for theBlackBerry Priv to land on the nation’s third largest carrier, today is the day you’ve been looking forward to. The first Android powered BlackBerry is now available from T-Mobile’s retail locations and online store. Qualifying customers can purchase the phone for $0 down, paying off the balance at the rate of $30 each month for 24 months. That works out to $719.99 (you get a penny back in change). If you are thinking about biting the bullet and paying the full retail price, you can actually save $20 by buying the unlocked version directly from BlackBerry. This model does support the T-Mobile pipeline. If you are interested in purchasing or leasing the device, click on the appropriate sourcelink. The BlackBerry Priv is available in your favorite color, assuming that your favorite color is black. AT&T had an exclusive on the carrier-branded version of the phone in the U.S., which expired on January 20th. Both Verizon and Sprint will also be adding the slider to their equipment lineup in the not too distant future.